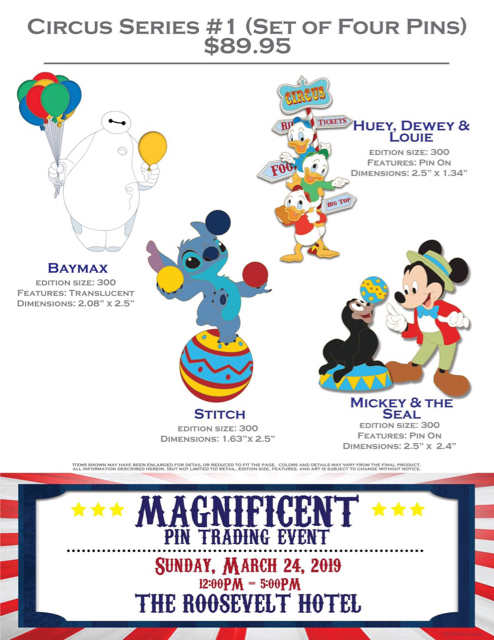 For Sale: PRESALE/ CO-OP/ SPONSORSHIP: DSF Magnificent (DUMBO) event! -- Registration success! Discussion in 'Co-Op Forum' started by watzshakinbacon, Feb 11, 2019. 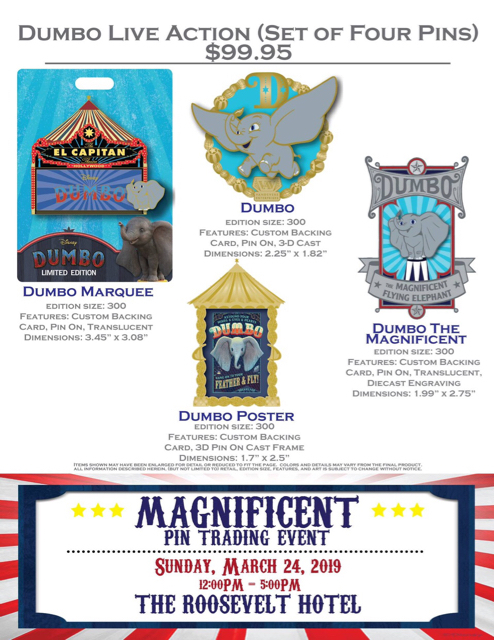 I am just too excited for the Dumbo event and put together a presale list! There's plenty of time to sign up, so check it out! if exceeds 8oz, I'll ship in a flat rate envelope (and I'll charge that at cost, which I don't know off the top of my head. It used to be $7.50ish, but it's prob gone up a little too). Signups close Friday, Feb 22, 8pm Pacific. You have until then to add or remove yourself from the list. Payment will be due by Sunday, Feb 24, 8pm Pacific. Refunds will be issued if I cannot get into the event! Keeping one set for myself, so only 1 set available. Will buy if at least 2 pins are spoken for. 2 sets available. Will buy if at least 2 pins are spoken for. 2 sets available. Will buy if at least 3 pins are spoken for. Hewey, Dewey, and Louie, please! I'd go for the genie and dumbo the magnificent! i'd be interested in Stitch and the Aristocats. I would be interested in Huey, Louie and Dewey. Can you please put me down for Mickey & seal? Thanks! @watzshakinbacon , you'[ll need to amend your prices to add PayPal fees, rather than saying it's on top of the prices? Please note updated prices to include PP fees. 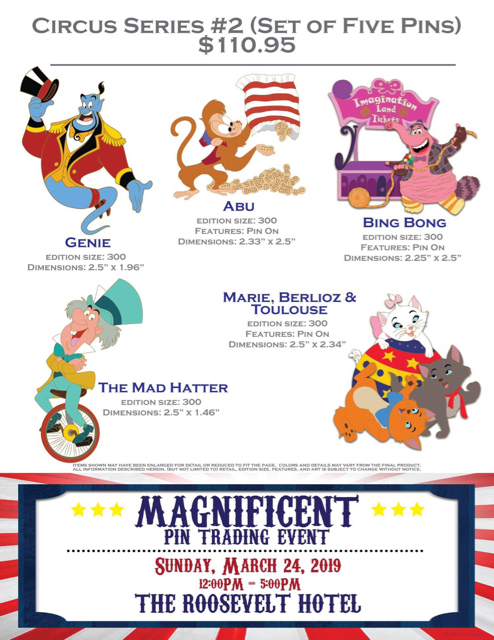 Also, prices lowered for Abu and Mad Hatter! May I be a backup for the Bing Bong Pin? Reminder that signs ups AND removals end tonight!! Payment for ppl in slots 1 & 2 will be due by Sunday night! Are you sending invoices? If not, can we just send payment now? Got in, everyone!! Can’t believe it. Thanks for wishing me all the luck!! CCofRR13, krand1276, Ajk and 3 others like this. Hi everyone! I have all the pins but I am so exhausted from the weekend. I will pack pins tomorrow and ship on Tues! slbrabham, krand1276 and theoucharis like this. All tracking numbers have been sent. Will drop in the mail tomorrow!